180 L.A.'s "Boost Your Voice" voting campaign for Boost Mobile has won the Integrated Grand Prix at the Cannes Lions International Festival of Creativity, its second Grand Prix after winning the the top prize for Promo & Activation. The campaign, created to provide voting resources for minority communities by providing its retail locations as polling places on U.S. election day, won Campaign of the Year in AdAge's Creativity awards earlier this year. It was also listed in Creativity's top interactive and integrated picks last year. "We felt the new integration is about transcending intermedia and really integrating into culture and society," said Jury President Tham Khai Meng. Read more about the judging over at AdAge.com. Earliers in the week, the piece was selected as the winner in Promo & Activation because "it's not only about promoting a store; it's about promoting human values and promoting that you can change your future if you decide to vote," said Jury President StÃ©phane Xiberras, president and chief creative officer of BETC. You can also read more about judging in that category over at AdAge.com. A 2014 report from the Brennan Center for Justice found that minority communities suffered from a lack of voting resources and locations during elections, leading to longer wait times and inevitably, huge obstacles when it came to casting their ballots. So Boost Mobile and its agency 180LA have conceived a brilliant initiative in helping these communities get their voice heard during the upcoming presidential race by offering up the mobile provider's retail locations as polling places on election day. Boost says that the idea is the first time a brand has offered up its private storefronts as election polling places. On top of that, come November 8, Boost's own employees will be volunteering to man the voting sites. "Last election, millions of lower income and minority voters faced long lines and inconvenient locations," said William Gelner, chief creative officer at 180LA in a statement. "With Boost Mobile stores in these areas, why not offer them up as places to vote and allow all voices to be heard?" To get the word out, the brand debuted this film, "Boost Your Voice -- Equal Access for All," which documents the voting struggles of people in low income or minority neighborhoods. It also shows how Boost Mobile has started to put its idea into play at a few select locations. So far, the company has brought the program to a few Southern California counties, including Riverside, San Diego, Orange County, as well as Cook County in Chicago. But that's just the start of what Boost hopes will be a larger play that extends to more communities. The company has extended its polling place offer to 817 county election boards across the country, and has issued a change.org petition to drum up support. Election officials can contact Boost Mobile directly via [email protected]. 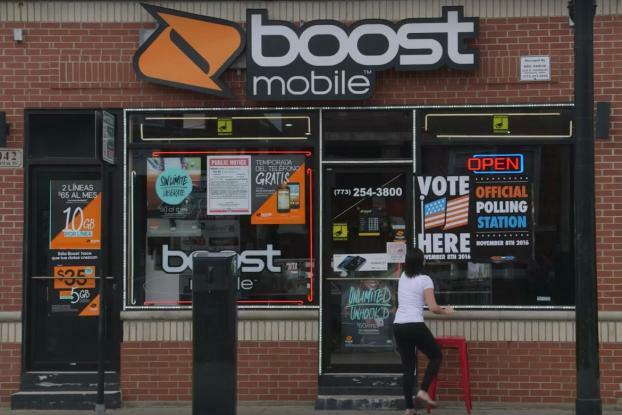 "Unequal voting access is a big problem in our country and those most affected are often in communities close to our stores," said Peiti Feng, brand marketing director of Boost Mobile in the statement. "Boost Mobile can no longer stand on the sidelines. We believe everyone deserves to be heard and it's our hope we can make a difference in providing more polling places and resources to those who need it most."